Purchase this item if you would like a discount on 3 or 4 - 8x8 or 8x10 prints. (2) During checkout, leave the title of the print or link to the photo in the "Note to Seller" box. (3) Choose luster (slight sheen, not glossy) or metallic (high shine) finish. WHAT IF THE SIZE I WANT ISN'T LISTED? Simply contact me with your idea and together we will problem solve. I answer 100% of my messages the same day! 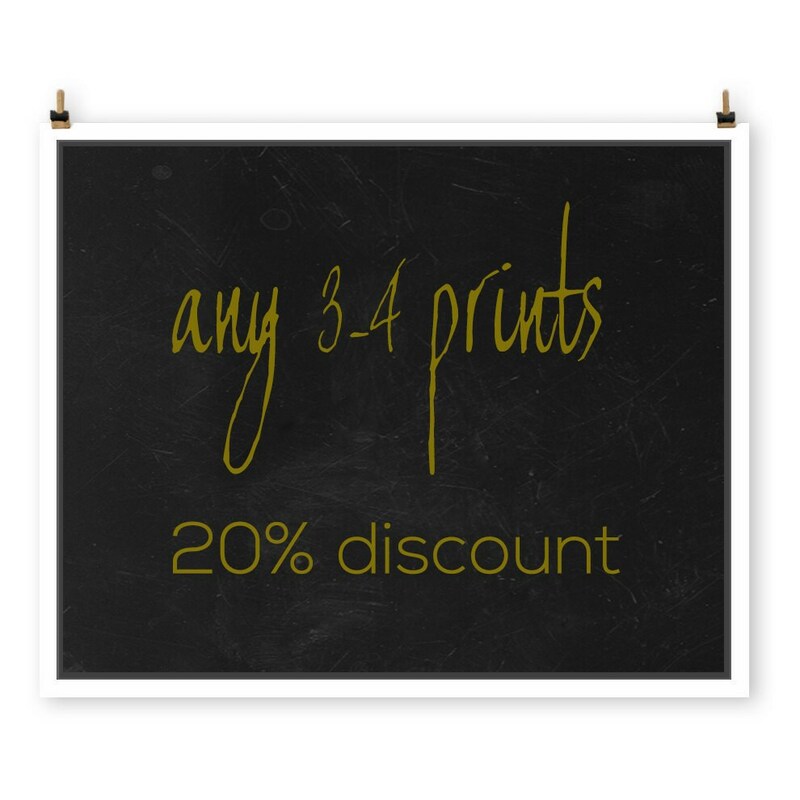 ➤ Images are individually printed on professional acid free paper with archival inks. ➤ luster finish is the recommended finish for this print. *** Wow! This photo makes my entire living room! I have already received so many compliments. Really superb. *** Gorgeous photos! I chose 3 sunset photos that will look great when I put them in frames to display in my house! Fast shipping as well! *** Beautiful print! Excellent quality, can't wait to hang it up in my office. The texture and contrast in the picture is awesome. Perfect piece to focus on throughout my hectic days to find a little piece of mindfulness. Picture came well wrapped and protected, ensuring it arrived without any blemishes. **PLEASE NOTE - While many of my photographs can be cropped to this size, there are a few exceptions. Please contact me before purchasing if you have questions. If I feel the image(s) you choose are not suited for this size I will contact you.